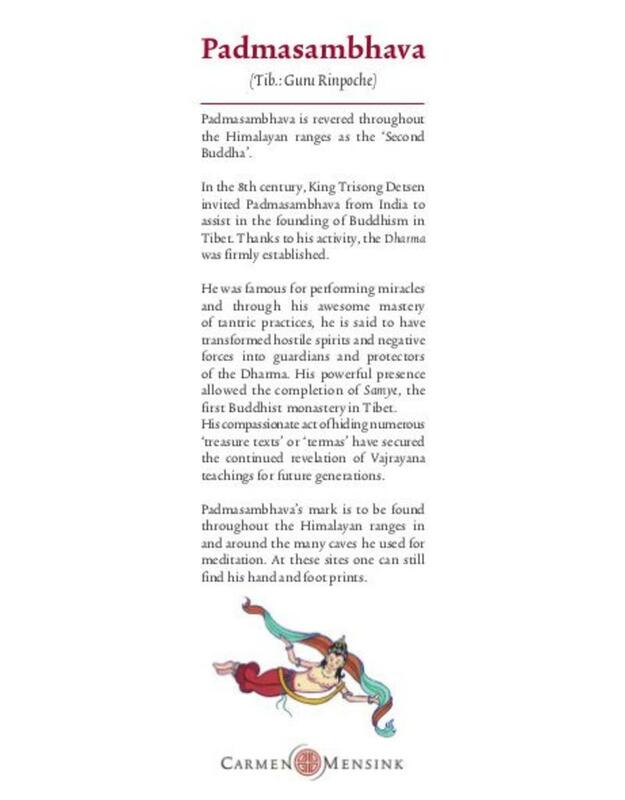 Padmasambhava is revered throughout the Himalayan ranges as the 'Second Buddha". 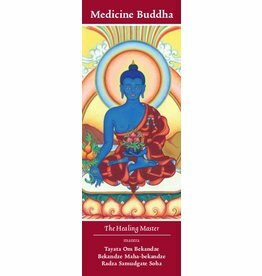 In the 8th century, King Trison Detsen invited Padmasambhava from India to assist in the founding of Buddhism in Tibet. 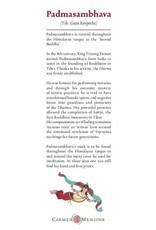 Thanks to his activity, the Dharma was firmly established. 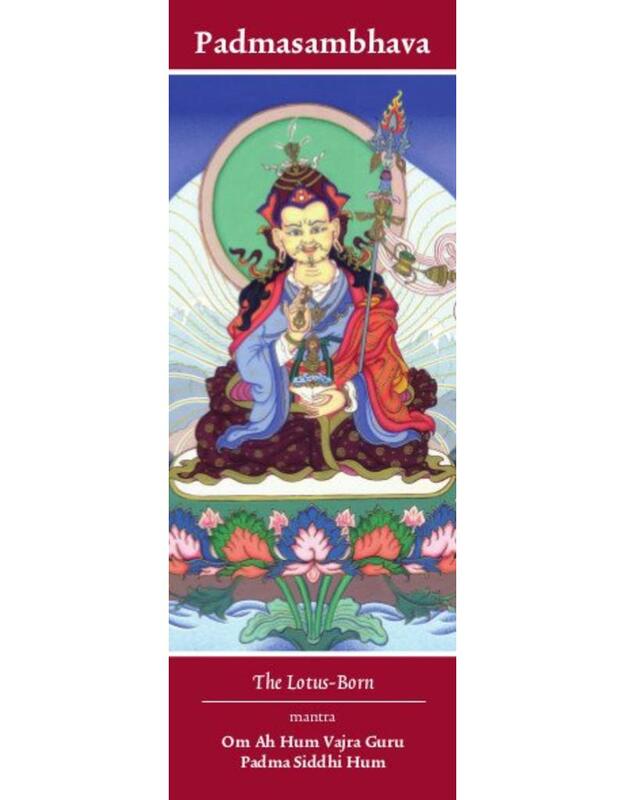 He was famous for performing miracles and through his awesome mastery of tantric practices, he is said to have transformed hostile spirits and negative forces into guardians and protectors of the Dharma. His powerful presence allowed the completion of Samye, the first Buddhist monastery in Tibet. 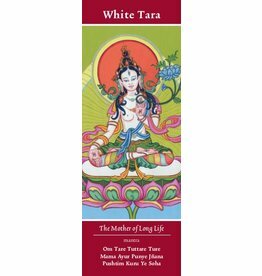 His compassionate act of hiding numerous 'treasure texts' or 'termas' have secured the continued revelation of Vajrayana teachings for future generations. 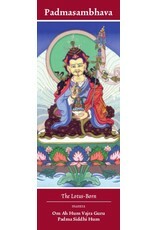 Padmasambhava's mark is to be found throughout the Himalaya ranges in and around the many caves he used for meditation. At these sites one can still find his hand and foot prints. De afmetingen van de boekenlegger zijn 14,8 cm x 5,2 cm x 0,1 cm. 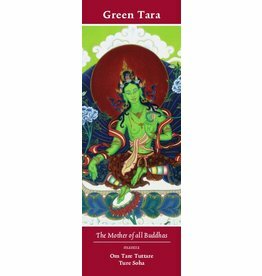 Deze boekenlegger is een uitgave van Tibetan Buddhist Art - Copyright: © Carmen Mensink.